Living in Georgia means you likely use your air conditioner for the better part of the year, and there’s no way to make it through without investing in great cooling systems. You need a great air conditioner to stay cool, and you need great service professionals to keep your cooling system in good working order. 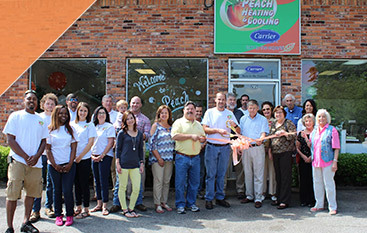 The experienced team at Peach Heating & Cooling provides air conditioning repair, installation, and maintenance services to ensure you stay cool and comfortable indoors. Whether you need to upgrade your air conditioning unit to save money every month or you need to get a brand-new air conditioner for a newly constructed home, you can’t afford to skimp on the installation process. Great cooling begins with great installation, and a professional installation project ought to begin with a professional load calculation. Here’s where our HVAC company comes in. We’ll take your home’s square footage, layout, insulation, and other factors into account to determine its cooling needs, then we’ll help you choose an air conditioner sized to cool your home properly. The upshot is highly efficient cooling as well as less wear and tear on the system. 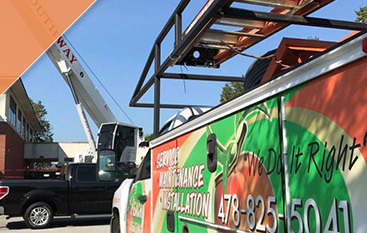 Once we have the properly sized air conditioner, our air conditioning installation team will work diligently to get it installed and running. If your air conditioner shuts down in the middle of a July heat wave, it’s not just an inconvenience. Your family’s health may be at risk. That’s why our air conditioning repair team is available 24 hours a day throughout the cooling season to come in and do emergency repairs. We’ll assess the extent of the repair, and we’ll give you a full estimate before beginning work. If replacement is warranted, we’ll help you weigh the cost of a new system against the cost to repair your existing system. As far as we’re concerned, though, the best approach to repair is prevention. Investing in an air conditioner maintenance agreement will give you the invaluable peace of mind that comes with knowing your cooling system is in our capable hands. During each maintenance visit, we’ll make small calibration adjustments to maximize energy efficiency, saving you money right away on your utility bills. 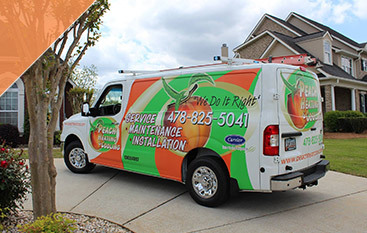 Even more importantly, our technicians will clear up any small, emerging issues to prevent them from turning into big problems. You depend on your air conditioner, and you ought to be able to depend on the professionals who keep it in good working order. We build on our technicians’ extensive experience with constant on-the-job training and professional development. Our team is simply the best at what they do, and they’ll do everything they can to help you stay cool for years to come.